War of the Spark spoilers beef up Selesnya guild. MTG War of the Spark is the final battle of the war on Ravnica with an abundance of gods and planeswalkers to shake up the meta. Set to release at the end of April, there are smaller instant and sorcery cards that will play a key part in the bigger picture. 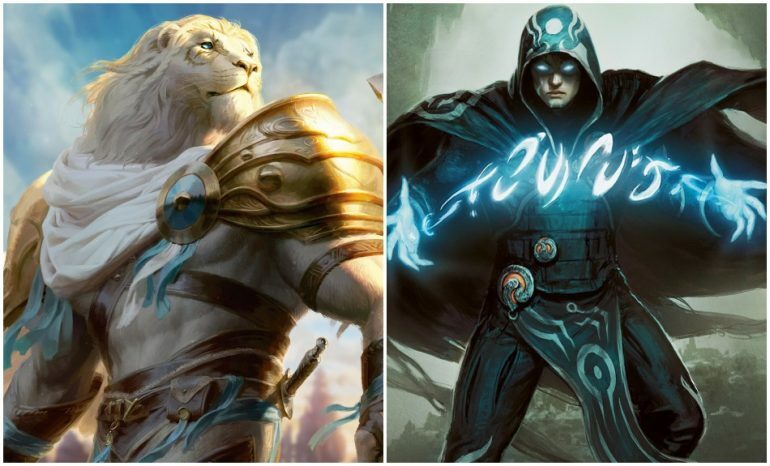 With tempo and counters being a big deal in the Ravnica set, Jace’s Triumph and Pledge of Unity will find their way into multiple formats and decks. Jace’s Triumph is a three mana (one blue) sorcery focused on card draw. For three mana, drawing two cards isn’t spectacular (Divination)—but if there’s a Jace planeswalker on the battlefield, you get to draw three cards. In Standard, Jace’s Triumph won’t see a bunch of play. With Divination already in decks and Bone to Ash countering with card draw, Jace doesn’t stand out from the pack. He may see some play time in Limited, especially if a Jace, Wielder of Mysteries is picked up in the draft. Drawing three cards for three mana is a good payoff. 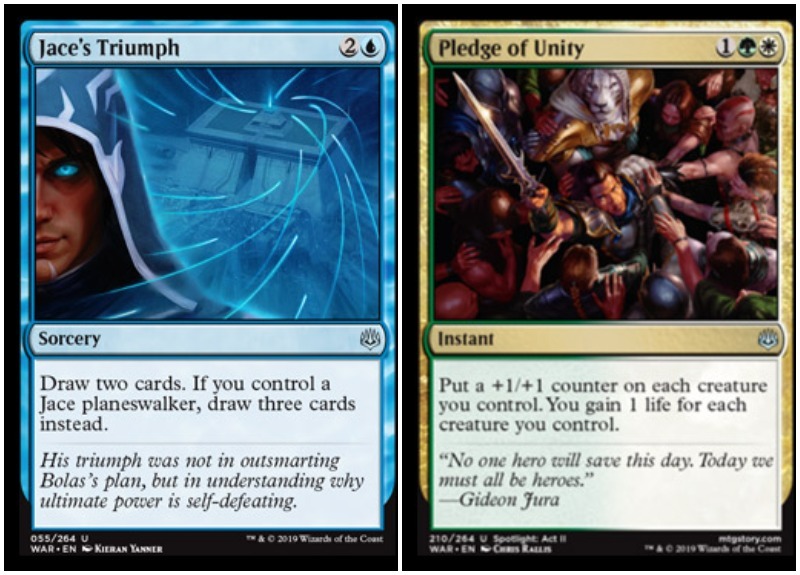 Pledge of Unity is a three mana Selesnya (one green, one white) instant that’ll beef up tokens, creatures, and life points. “Put a +1/+1 counter on each creature you control,” the card reads. “You gain one life for each creature you control.” Pledge of Unity is a bomb instant, especially later in the game. The Selesnya guild has needed a boost and Pledge of Unity provides that. It’ll work nicely in conjunction with Ajani and tokens, and it might be better than Unbreakable Formation. It’ll also work well with Hero of Precinct One, a card not typically found in MTG Selesnya decks. The final battle is almost here with War of the Spark set to be released on April 25 in MTG Arena. The official pre-release date is April 27.